Learn how to troubleshoot your Huawei P9 (#HuaweiP9) that won’t turn on and not charging when plugged in. Learn how to troubleshoot your phone that can’t boot up successfully for some reason. There were reports from Huawei #P9 owners detailing that some units won’t turn on while others just won’t boot up. So, we decided to start supporting this device as we too have received messages from our readers who are seeking assistance due to these problems. Before going any further, let me try to differentiate the not turning on and not booting up problems. The former simply means that the phone won’t power up no matter what you do. The screen remains black and won’t even flicker if you hit the Power key and it might be due to a serious firmware issue or a hardware problem. There are things you can to verify if the device really won’t turn on and that’s what I’m going to tackle here. On the other hand, the not booting up issue means that the phone still turns on or powers up but gets stuck somewhere and can’t successfully reach the Home screen as it usually does. While this problem is often cause by a firmware issue, there were reported hardware-related factors that could also contribute to the occurrence of this problem. Read on to learn more about these issues and how to deal with them. For those who have other Huawei P9 issues, we are always willing to help you. All you need to do is contact us and tell us in detail what your issues really are. You need to provide us information like how the phone behaves, what the errors are, when the problem started, and the things that happened prior to the problem. Fill up our Android problems questionnaire and hit submit when you’re ready. The very purpose of this troubleshooting is for you to find out if your phone can still power up its components because if so, then the problem might all be in its firmware. And in that case, you may be able to fix it on your own using the standard troubleshooting procedures without visiting a shop. System crash is often the cause why there are so many Android phones that become frozen or unresponsive at some point. When this occurs, the device just won’t respond to anything you do; it won’t turn on if you press the power key and won’t even charge if plugged in. The worse thing is it couldn’t get out of that state unless the user performs the Forced Reboot procedure. All you have to do is press and hold the Volume Down key and then press and hold Power key. Keep them pressed for ten seconds and your phone will reboot provided it’s the only issue here. The next thing you have to do after you did the forced reboot procedure and the phone remained unresponsive is to plug its charger in and leave it for 10 minutes. We often receive a lot of complaints about devices that won’t turn on and many of those cases were caused by drained batteries. It’s a simple logic; if the battery is all drained up, your phone won’t power up. There is another reason why you really have to charge the phone and that’s to know if it would respond when it senses electricity is flowing through its components. As I said earlier, the phone won’t charge when the system crashes but doing the forced reboot procedure while the phone is plugged in may just save you from a lot of trouble. What if the phone doesn’t charge? You still have to leave it plugged in for ten minutes. If the battery is totally drained, it may take a few minutes before the device displays the usual charging indicators. After then minutes and the phone is still not displaying those indicators, do the forced reboot procedure again if pressing the Power key won’t bring it to life. What if the phone charges but still won’t turn on? Still, give it time to charge and try to turn it on using the usual method and then do the forced reboot procedure if the former didn’t work. There were cases wherein the phone’s system crashed due to some apps that caused conflicts. If the phone charges but won’t respond if turned on, you should immediately try to boot in safe mode. All third-party apps will be temporarily disabled so if one of them is causing the problem, the phone should be able to boot up successfully. At least, at this point, there is hope that the phone’s hardware and all its components are working. 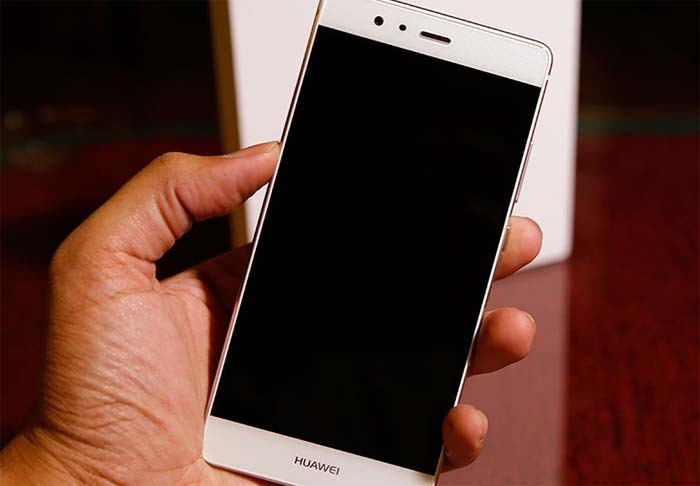 Once the Huawei P9 screen appears, release the Power key and immediately press and hold the Volume Down button. In this the phone won’t respond when the Power key is pressed and plugged in, you need to try to boot it in recovery mode. This will tell you if the phone is still capable of powering up its hardware. Unlike booting normally or going into safe mode, booting in recovery mode won’t load front-end. Instead, you’ll be taken into Android System Recovery screen where there are only a few things you can do and two of them are wiping the cache partition and doing the master reset. If you can bring your phone up into this mode, there’s still a chance you can fix it on your own. Press and hold the Volume Up and the Power keys for 10 seconds. Once the Huawei logo appears, release both keys. At this point, you’ve already done everything that a user has to be done in a bid to fix the problem but you didn’t succeed. So, it’s time you employ the help of a technician to do further tests and troubleshooting procedures that are beyond your capabilities. We really can’t pinpoint what the problem with your phone is but it doesn’t really matter now since it’s the job of the tech to discover and fix it. As I mentioned earlier, turning on and booting up are two different things. When the phone isn’t booting up, it means it can still power up but can’t continue loading every service necessary to run the firmware and the apps. If you have this issue, at least, you can rest assured that the problem isn’t the hardware so there’s always a chance you can fix it on your own if only you are willing to troubleshoot it. This procedure is a very effective one if the problem occurred after you installed some apps regardless of the method. Third-party apps may cause conflicts in the system especially if they’re not compatible with it. When this occurs, the phone may keep rebooting, crashing or get stuck during boot up. So, it’s very logical to boot your phone in safe mode. Make sure you phone is powered off. It may have attempted to boot up and got stuck somewhere. Keep holding the Volume Down key until the phone boots up successfully. You’d know if it was successful if you can see the text “Safe Mode” at the lower-left corner of the screen. Wiping the cache partition is a very effective troubleshooting procedure you can use to address booting up problems that may have occurred after an update or started without apparent reason. System caches get corrupted all the time and when they do, the phone may not boot up properly. Since you don’t know which cache got corrupted, you have to delete the cache all at once. By doing this procedure, you are actually doing your phone a favor especially if it has updated its firmware recently. You won’t lose any of your data if you did this that’s why you can do it whenever you like. Make sure you phone is turned off. Use the Volume Down button to highlight ‘wipe cache partition’ option and press the Power key to choose it. Once the cache partition is wiped, highlight ‘reboot system now’ and press the Power key to accept it. If wiping the cache partition didn’t yield any result, it’s time you did the master reset. This is the final troubleshooting step you need to do before you send the phone in for repair. This procedure will bring the phone back to its factory default settings. It your files and data will be deleted during the process so make sure you make a backup. Use the Volume Down button to highlight ‘wipe data/factory reset’ option and press the Power key to choose it. I hope that these procedures can somehow help you. The firmware may need to be reinstalled and if you do it yourself, the warranty will be void and you don’t want that. So, bring the phone back to the store where you bought it or let an authorized Huawei technician check it for you. i have a p9lite huawei my is turning since the time i try to restart and untill now its still not charging and powering on…. Hi ! im having an issue with my phone , I haven’t been able to turn it on for the pass 2 Days ! i’ve tried everyting, its Huawei p9. Hi, my daughters Hauwei Mediapad 10 Link + shut down due to flat battery and after that when trying to turn it on it just get to the hauwei Mediapad logo and no futher. I tried the factory boot with volume up several times but it keep showing the Hauwei Mediapad logo and nothing else. What else can I try to fix this problem. We even tried loading new software on the sd card but with no success. Hello my friend give me a HUAWEI LYO-L02, and it will turn on and get to the HUAWEI logo and no further, i’ve tried the factory boot with volume up and power buttons then factory reset then it says rebooting but only goes straight back to the HUAWEI logo. What can I do? Can you help me please?. thnx! I woke up so stressed dz morning…I even tried to remove the battery..fortunately I cudnt…the force reboot..came to my rescue. Thanks mate, i was pretty sure the phone was bricked. But the forced teboot worked like a charm, it went from completely nonresponsive to perfect in no time.